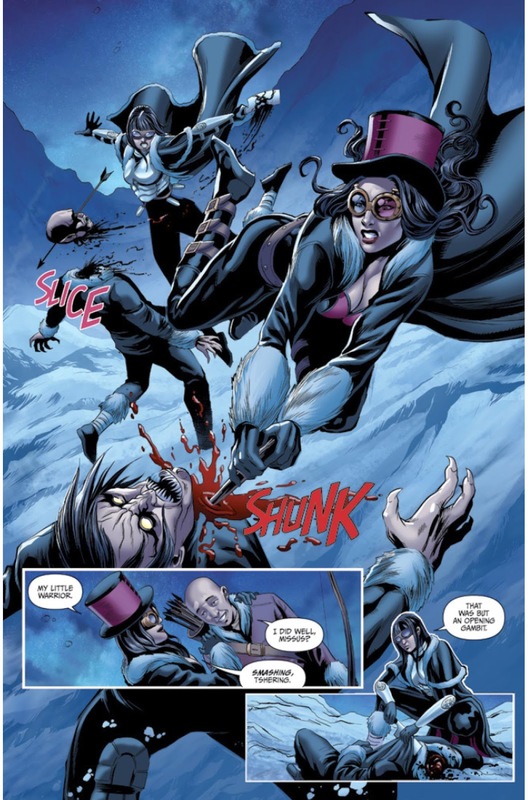 The Fellowship has obtained a first look at VAN HELSING VS THE WEREWOLF #3 from Zenescope Entertainment. 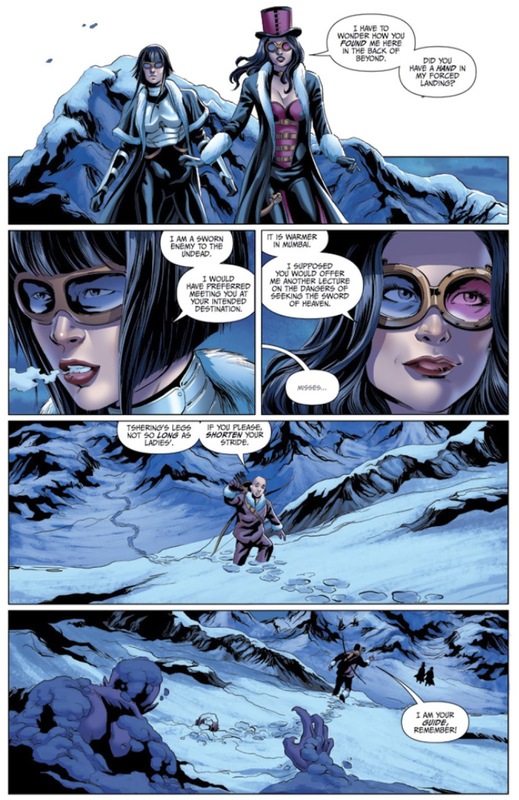 The issue, which hits stores September 13th, is written by Chuck Dixon; with art by Allan Otero, colors by Robby Bevard, and letters by Jim Campbell. 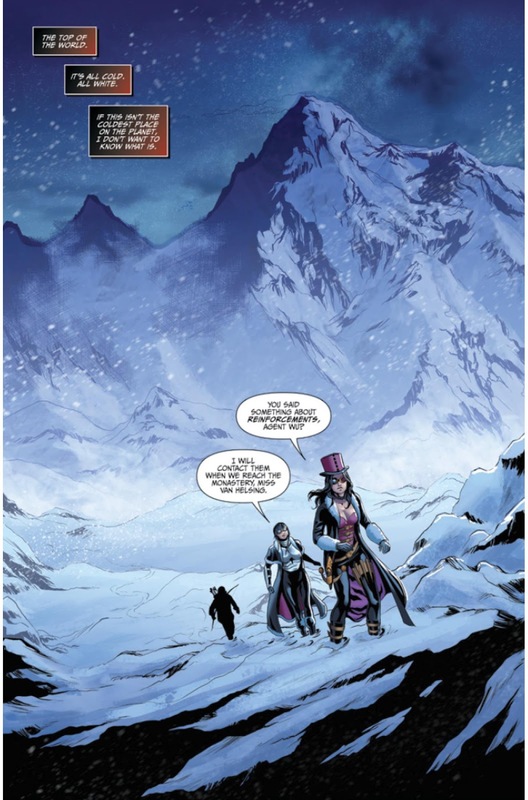 Stranded at the top of the world, Liesel Van Helsing works to uncover the source of centuries old vampire clan high in the frozen heights of the Himalayas. 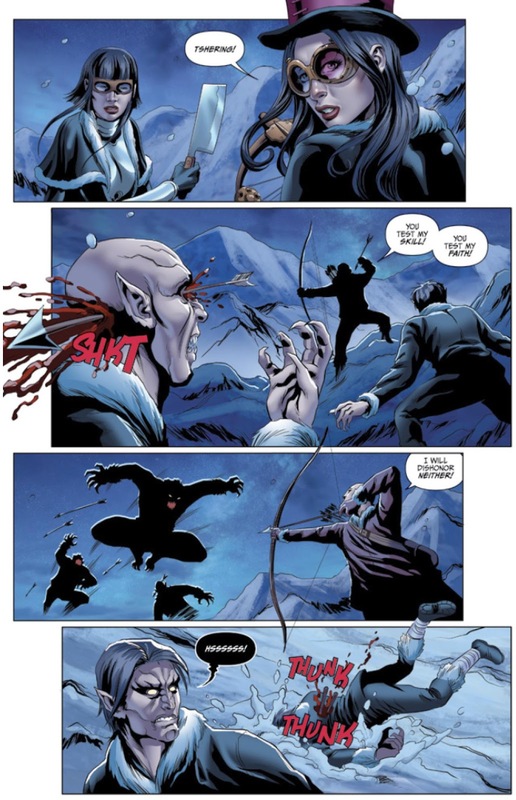 Newly allied with Chinese agent Wu Shen Hao, the greatest vampire hunter of them all faces a horde of the undead while a bestial lycanthrope stalks the mountain passes. 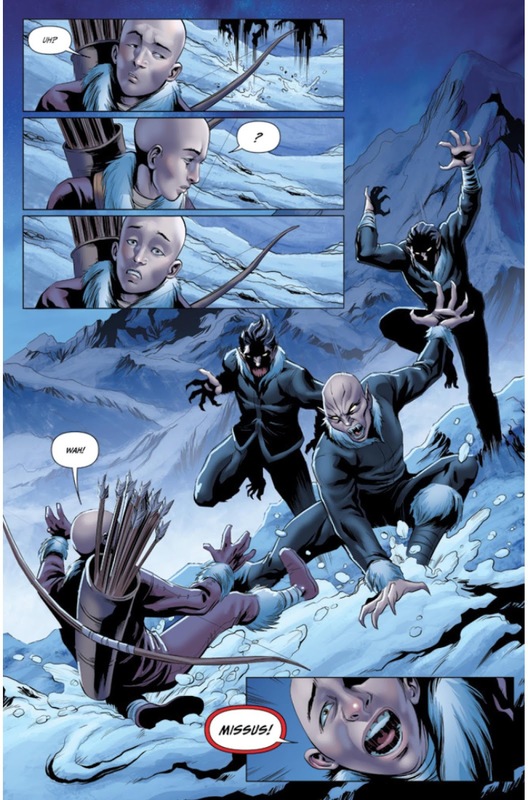 Chuck Dixon (BANE: Conquest) brings all the blood, bullets and brutality you're looking for as this horror epic builds toward its violent climax.